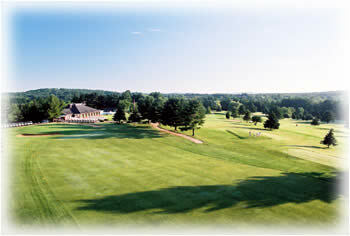 Rochester C. C. is a public, 18-hole, par-72 golf course located on a 150-acre site nestled along the Cocheco River, offerin g beautiful views of our pastoral countryside. Once a private country club, we now are a semi-private club open to the public. This is truly a very special place to play that ANYONE can enjoy. Rochester C. C. is a great place for any business, private group or non-profit to host a golf event, test your skills, experience unsurpassed beauty and relax with golf. Our public, pub-style restaurant, SK's Greenside Grill, offers a satisfying selection of food, from a quick snack to a leisurely dinner. We specialize in creating the perfect atmosphere for your special occasion. We can arrange your meeting or conference in an intimate, private function room. Rochester offers many levels of membership making us affordable to the widest range of golfing enthusiasts from the Junior golfer to the Senior player. Both women’s and men’s leagues are open to most membership categories.